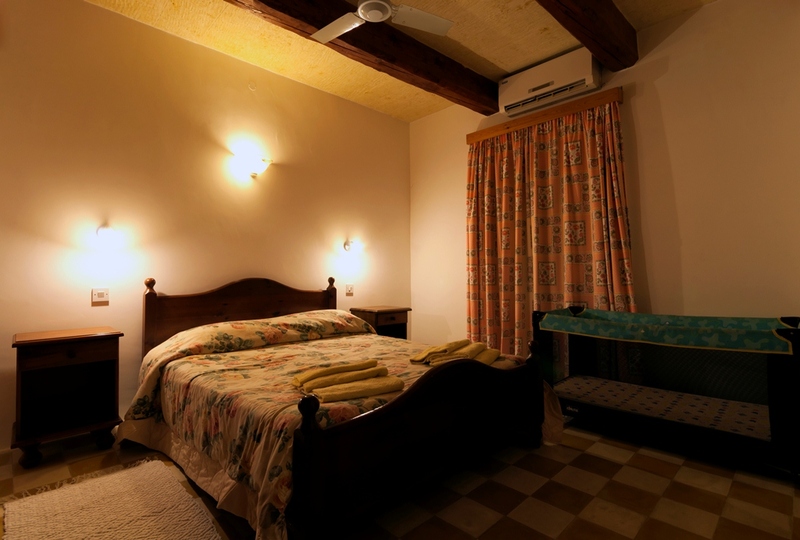 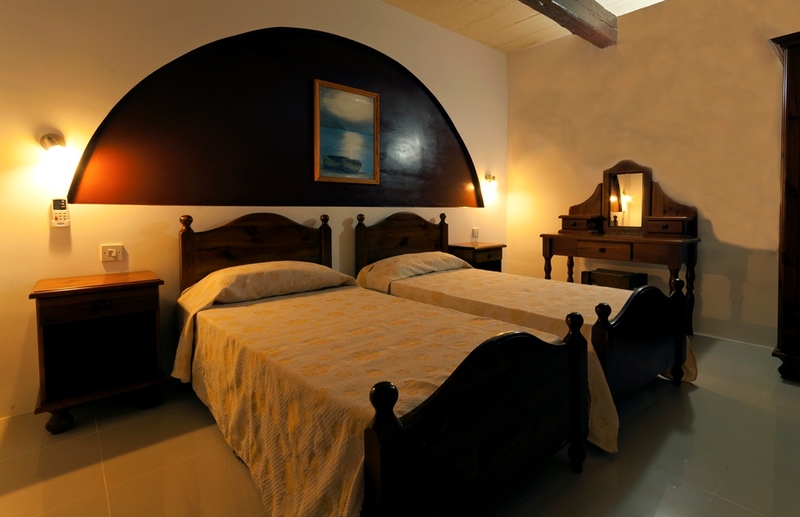 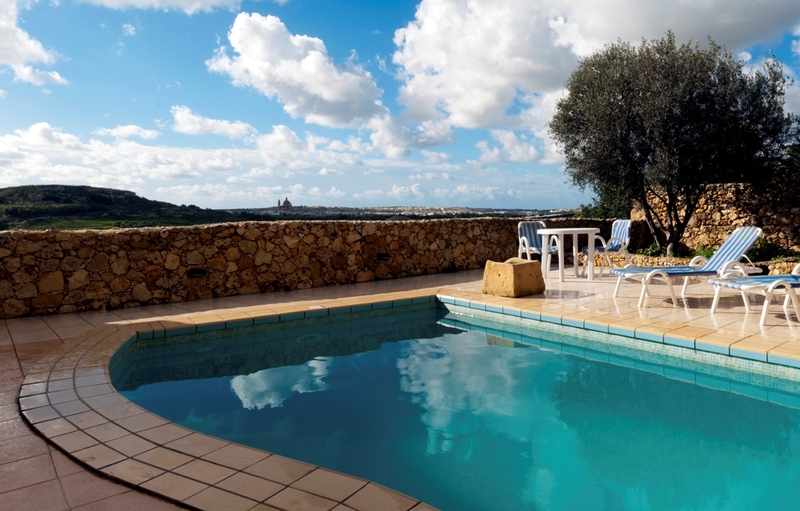 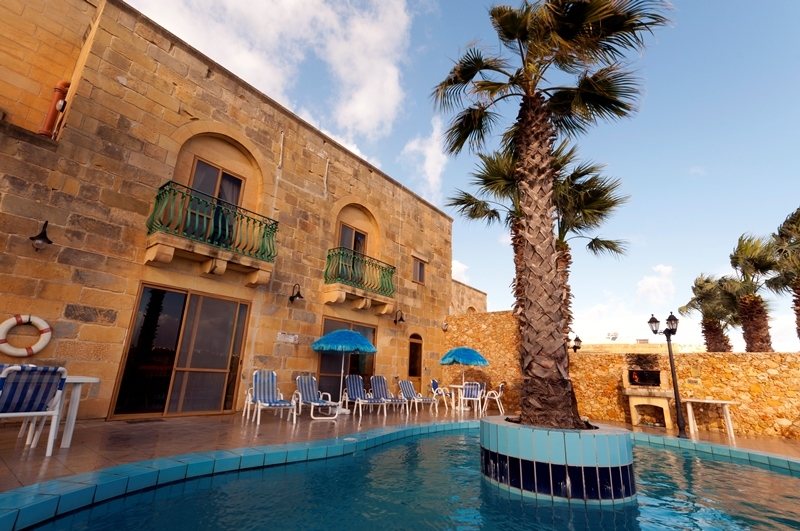 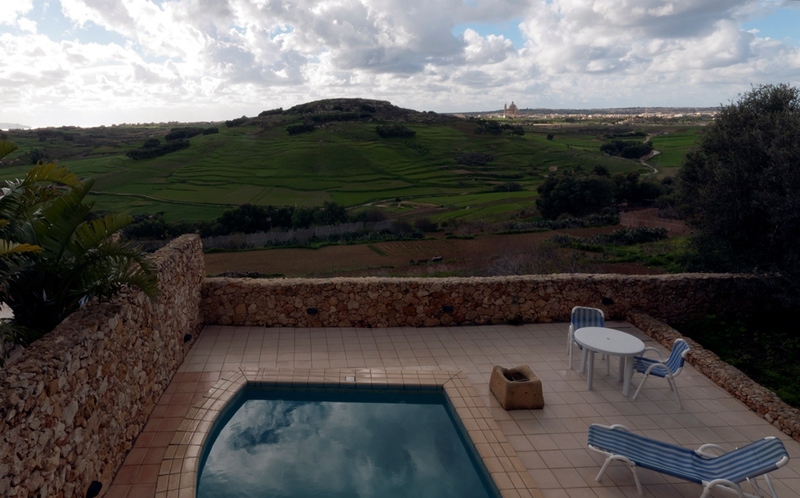 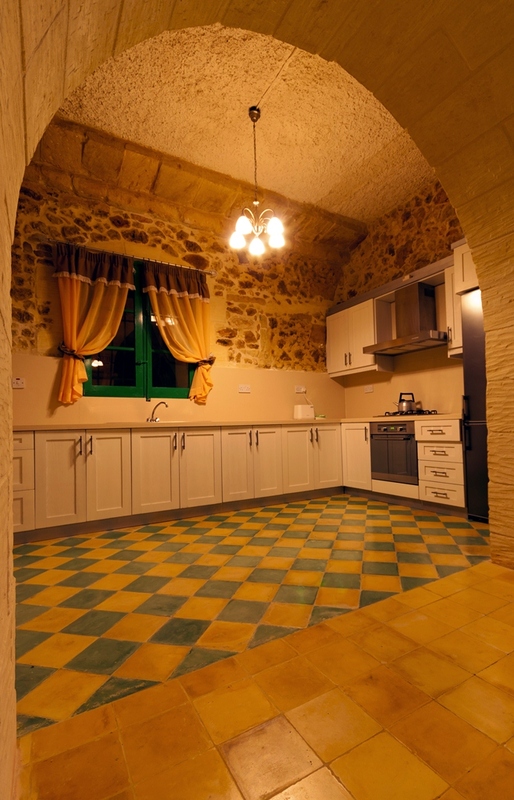 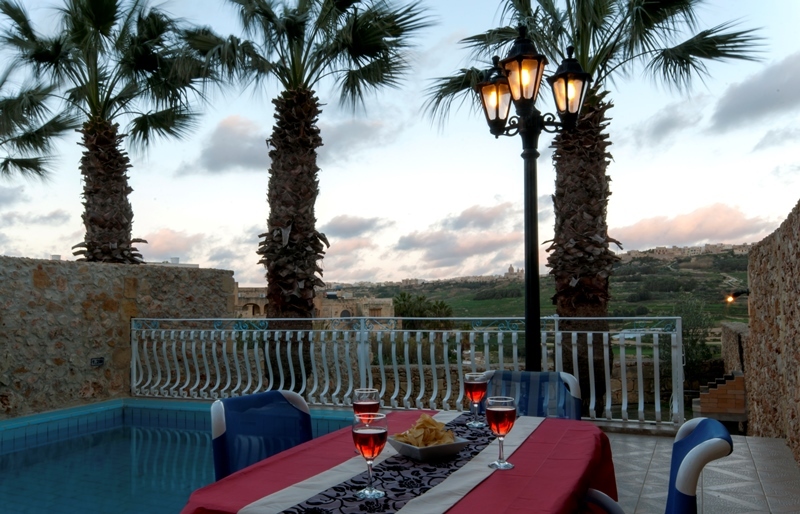 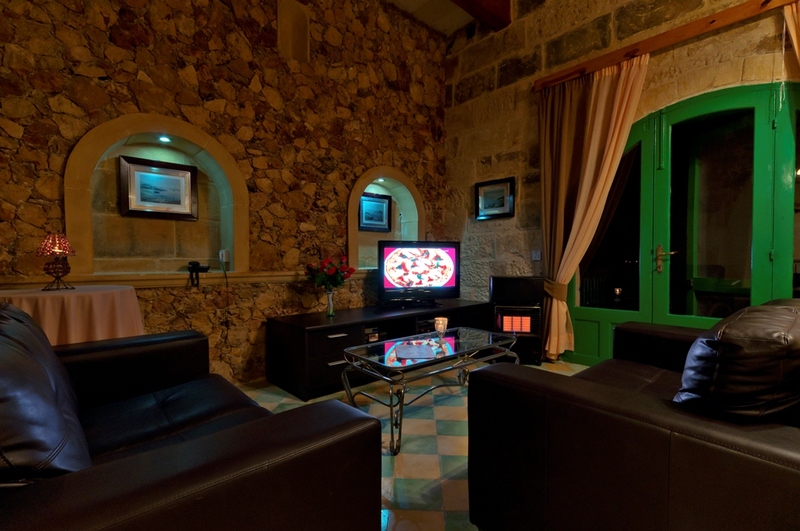 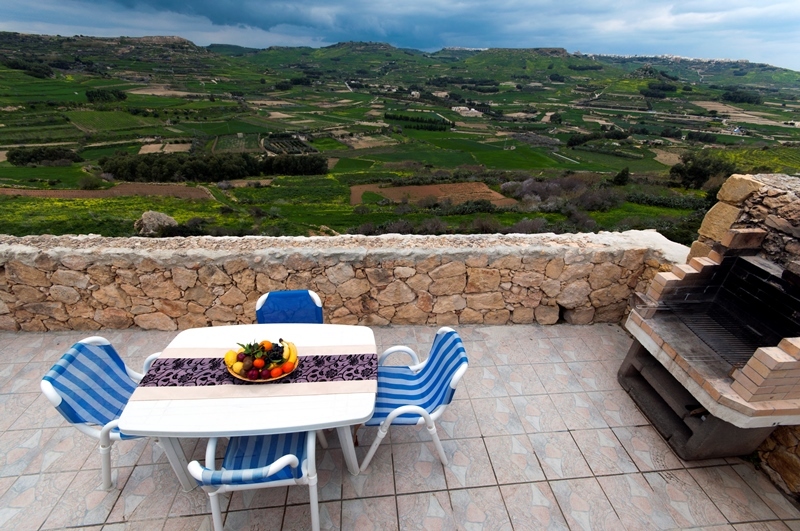 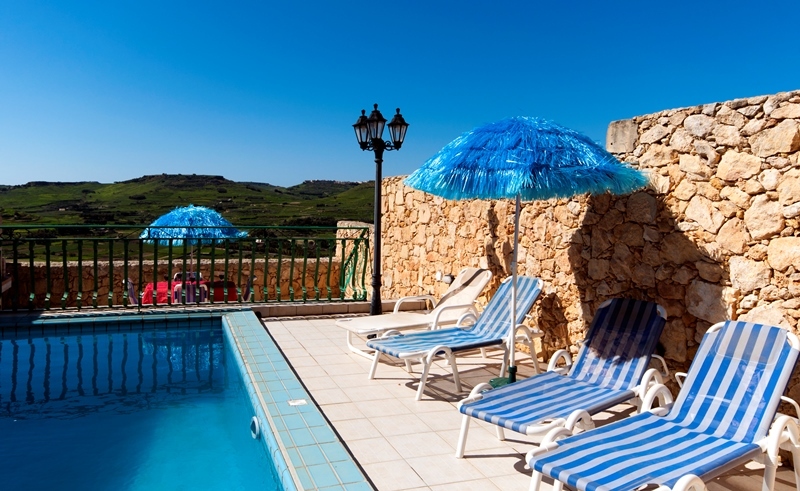 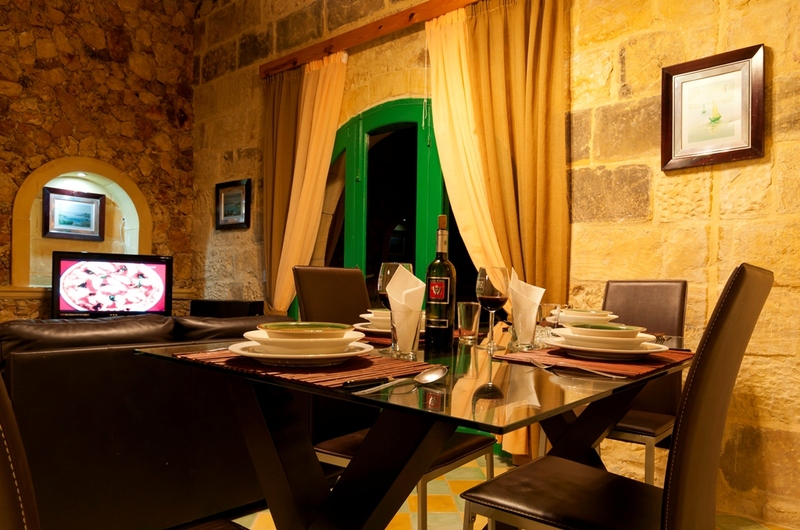 Lovely farmhouse located at the outskirts of Xaghra. 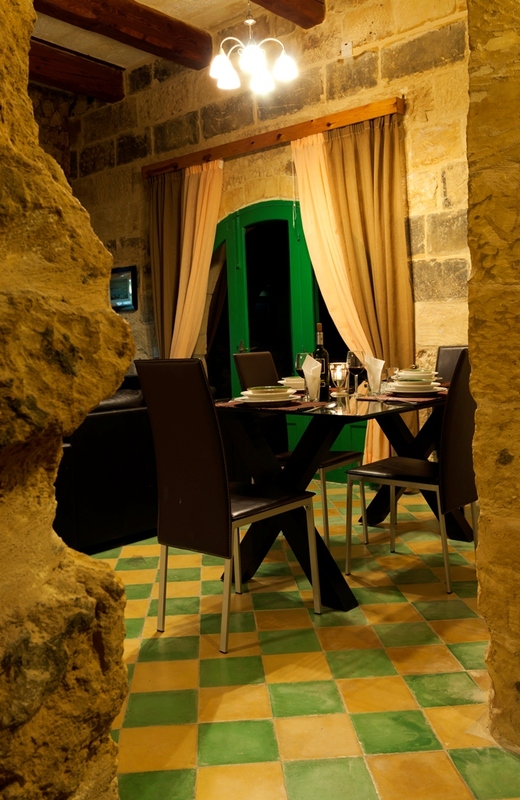 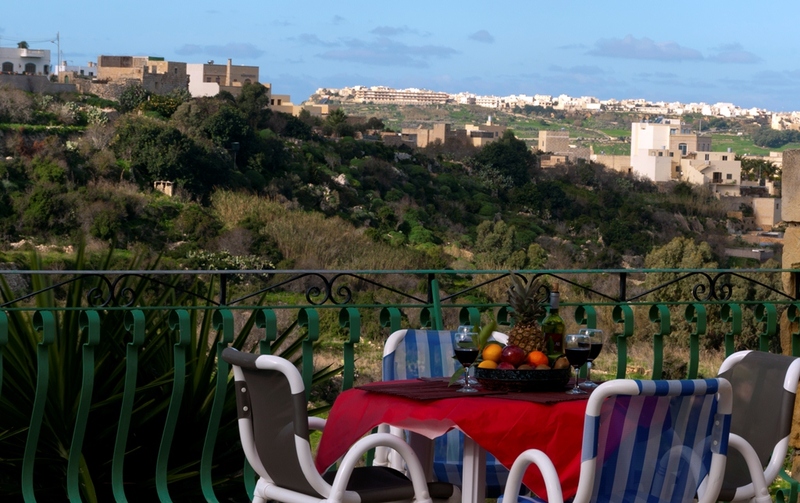 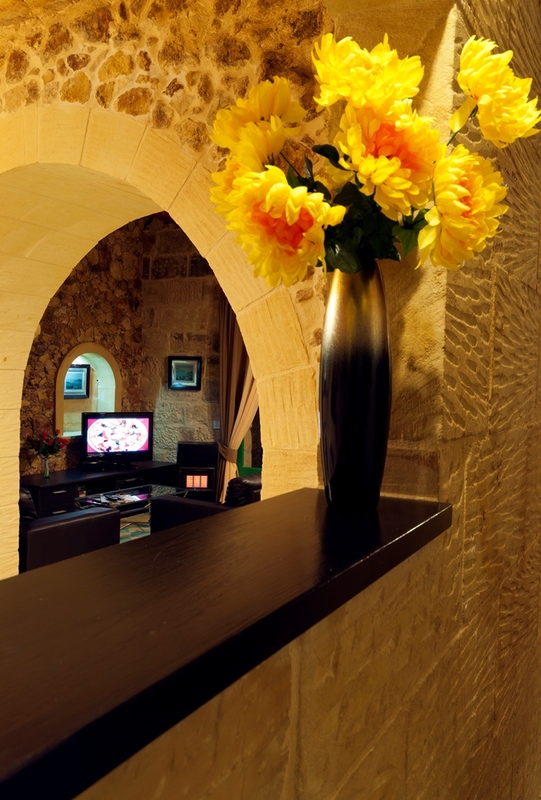 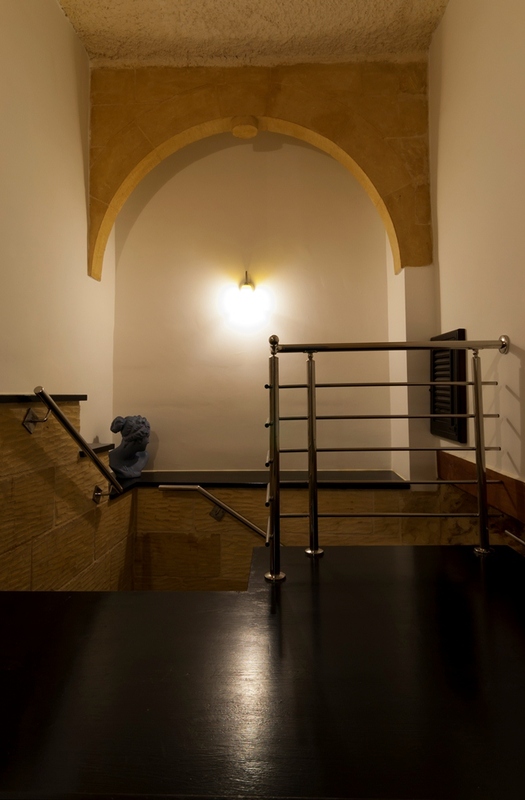 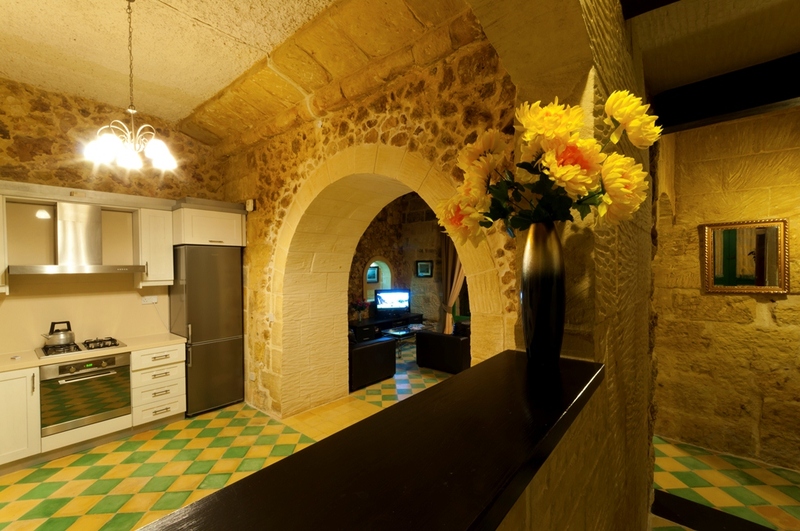 Entrance from a hallway into a well sized sitting/dining with leather sofas overlooking the sun terrace and stunning views of Gozo’s countryside. 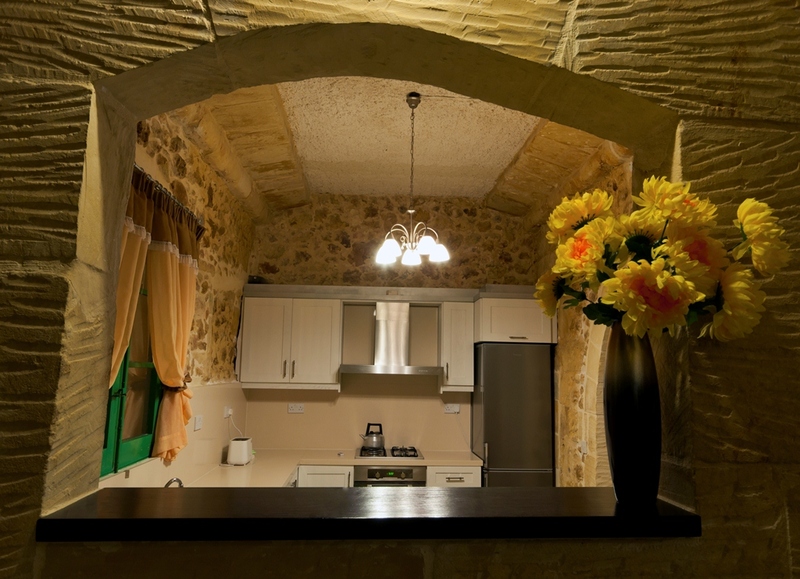 A well equipped kitchen with all the modern amenities faces the street. 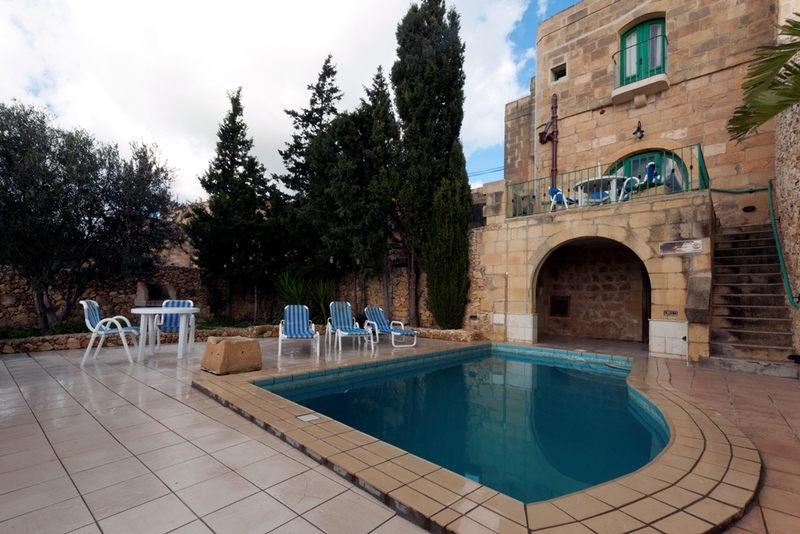 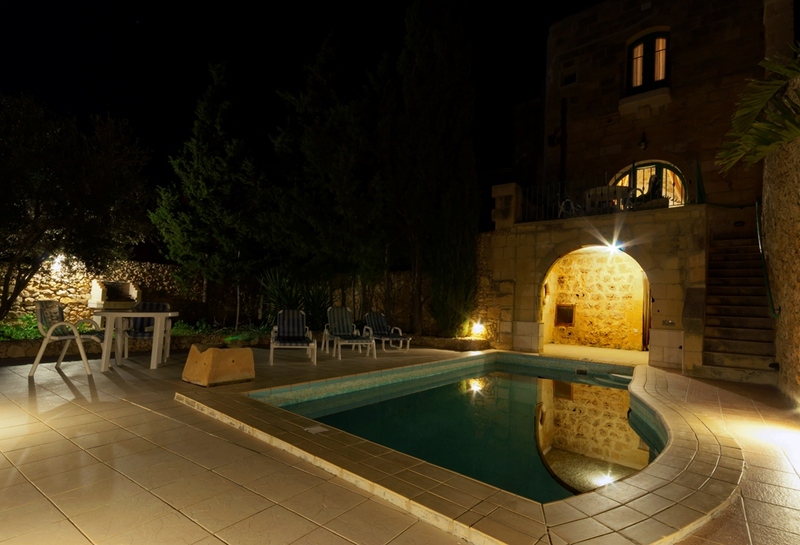 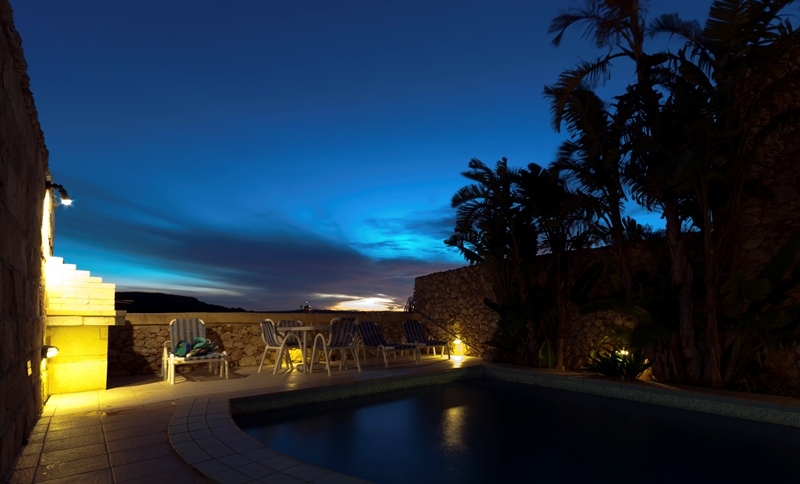 A few steps takes you down to the swimming pool and spacious pool area complete with a small garden with bbq area. 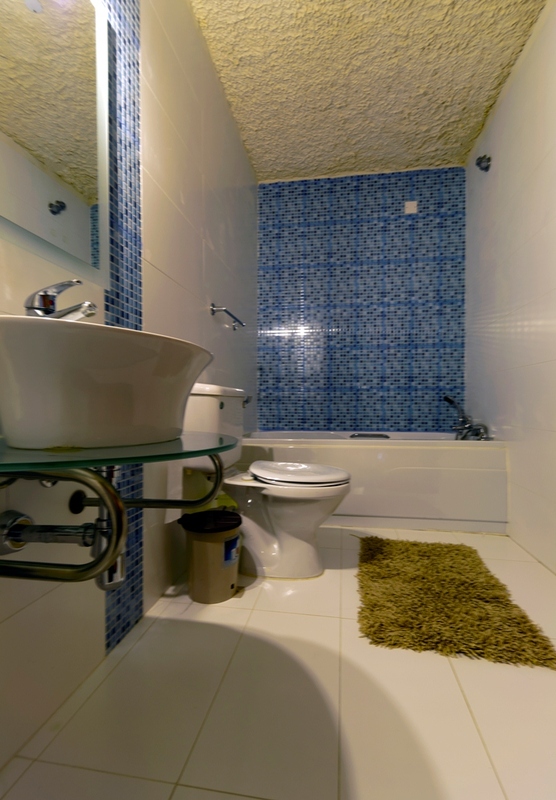 Another washroom is found by the pool area.